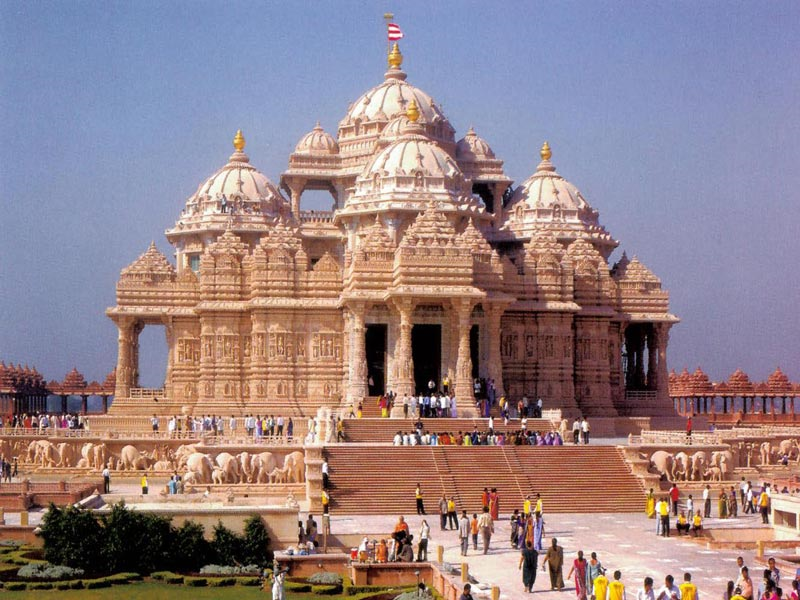 Golden Triangle tour is one of the most popular tourist circuits of India. This tour presents the true color of India with Delhi, a rich tapestry of contrasts that is characteristic of this complex land, Agra, the zenith of art & an enshrined romance and Jaipur – exuberant with color for enjoying North India’s fascinating cultural heritage. The combination of all the three cities presents the potpourri of India. The harmonious amalgamation of the capital of the country with its entire historic splendor, the soft romanticism that can felt at amazing Agra and the fierce magnificence of the Rajasthan desert presents India at its best. Since centuries the golden triangle has beckoned travelers from different parts of the world to India. The sights, sounds, smell and savor besides the souvenirs from each holiday destination of the Golden Triangle is enchanting. As it is the metro of Delhi with its rich past, the royal retreat at Jaipur and the romantic Agra with the unique monument of love – Taj Mahal. Delhi – the capital of India, is also its seat of power. One of India’s fastest growing cities, Delhi has spread far beyond the “seven cities”, created between the 13th and the 17th centuries. It has sprawled over the west bank of the river Yamuna, straddling the river. Remnants of the gloriouspast survive cheek – by – jowl with soaring skyscrapers, posh residential colonies and bustling commercial complexes. Delhi has some of the finest museums in the country. Its boutiques and shopping arcades offer access to a wealth of traditional and contemporary crafts, from all over the country. Delhi has specialty restaurants to please the gourmet, sprawling parks and gardens ablaze with flowers, and in the winter months, a variety of cultural events. The myriad faces of the city are simply tantalizing, and entice the curious traveller into a fascinating journey of discovery. No tour in India can complete without paying a visit to this erstwhile Mughgal city of Agra, the home of Taj Mahal, world’s most beloved monument, situated on the banks of Yamuna, this town was chosen by the emperor Babar as a base for the Mughals. With its laid -back lifestyle and its immense wealth of architecture, handicrafts and jewellery, Agra is amongst the most remarkable city of the world. In terms of ambiance it is still associated with its Mughal period led by Babur, who arrived in 1526. Agra grew in prominence as almost all of India came under the rule of Mughal empire but Agra reached its zenith under the rule of Akbar,Shah Jehan and Jehangir. It was under the rule of Akbar that Agra become a leading centre of art, science, commerce and culture. The capital of Rajasthan, Jaipur is not only the gateway to the state, it is also the most natural place to begin a discovery of Rajasthan’s multifaceted attractions. For visitors unfamiliar with its history, a little explanation may be necessary, since it will aid their understanding of one of the most fascinating cities of India. As a city, Jaipur is fairly young, less than three centuries old. It was laid out by Maharaja Sawai Jai Singh II of the Kachchawaha dynasty from Amber which, less than 10-km away, was the former capital of the state. Markets and residential areas have bridged this gap so that, for all practical purposes, Jaipur includes Amber within its sway. Jaipur was color washed pink to create an impression of red sandstone buildings of mughal cities. The current color which is more red than pink was painted in 1876, during the visit of Prince of Wales. The city is best explored on foot and only the adventurous visitor willing to go into the Rastaas and Galis (inner lanes) can feel the spirit of the city. There’s an amazing appeal to Jaipur’s colorful bazaars, beautifully laid out gardens, parks & the monuments.